A lot of people these days treat their cars as if they are gadgets. They feel the urge to continuously await for and upgrade to the newer models. Older models are often regarded as inferiors to the newer ones; and this isn’t their fault either. A lot of car companies have marketed their newer models with catchy phrases that include three major aspects: more power, improved efficiency, and better safety. These are the marketing ‘maneuvers’ that push up sales and gadget-ize cars in consumers’ minds. However, there are also other kinds of people, the passionate ones, who seem to treat their cars more like books rather than gadgets. Books can be old, beaten and torn, but they still have their own pair of doctrines and conceptions that can be just as interesting as newer books! 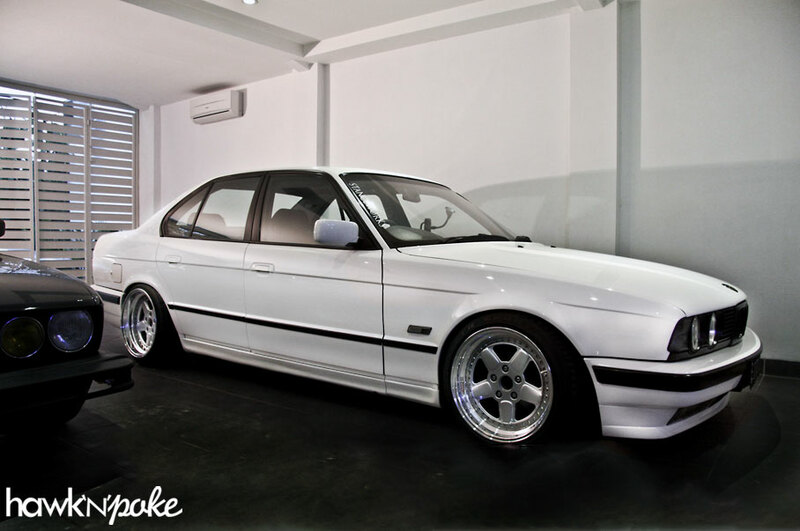 The BMW E34 5 Series I’m showing you today is owned by Audi Caesario. He sent me several of his ‘retro’ collections that have been properly restored, stanced and maintained. Imagine yourself having the chance to drive along on a scenic trip with your partner. 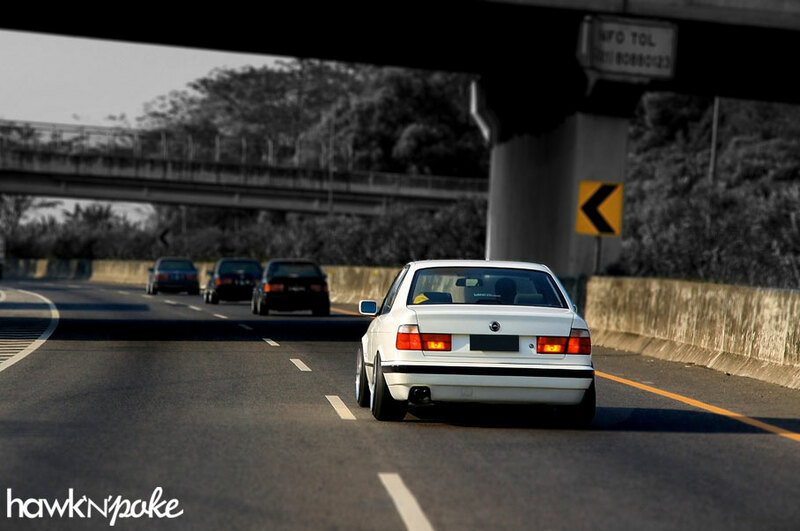 Which one would you rather be driving: this kind of E34, or an F10 5 Series? I think I might have chosen the E34 and put on my Aviators.